[/vc_column_text][/vc_column][/vc_row][vc_row][vc_column width=”1/2″][vc_progress_bar values=”%5B%7B%22label%22%3A%22%D8%A7%D9%85%D8%AA%DB%8C%D8%A7%D8%B2%20%DA%A9%D9%84%DB%8C%22%2C%22value%22%3A%2278%22%2C%22color%22%3A%22bar_red%22%7D%2C%7B%22label%22%3A%22%D8%AA%D8%B5%D9%88%DB%8C%D8%B1%D8%A8%D8%B1%D8%AF%D8%A7%D8%B1%DB%8C%22%2C%22value%22%3A%2266%22%2C%22color%22%3A%22bar_orange%22%7D%2C%7B%22label%22%3A%22%D8%A7%D9%85%DA%A9%D8%A7%D9%86%D8%A7%D8%AA%22%2C%22value%22%3A%2277%22%2C%22color%22%3A%22bar_green%22%7D%2C%7B%22label%22%3A%22%D9%82%DB%8C%D9%85%D8%AA%22%2C%22value%22%3A%2287%22%2C%22color%22%3A%22bar_turquoise%22%7D%2C%7B%22label%22%3A%22%D8%A7%D9%86%D8%AF%D8%A7%D8%B2%D9%87%22%2C%22value%22%3A%2281%22%2C%22color%22%3A%22bar_blue%22%7D%5D” options=”striped,animated” title=”امتیاز کلی” units=” از 100″][/vc_column][vc_column width=”1/2″][vc_progress_bar values=”%5B%7B%22label%22%3A%22%D8%A7%D9%85%D8%AA%DB%8C%D8%A7%D8%B2%20%DA%A9%D9%84%DB%8C%22%2C%22value%22%3A%2281%22%2C%22color%22%3A%22bar_red%22%7D%2C%7B%22label%22%3A%22%D8%AA%D8%B5%D9%88%DB%8C%D8%B1%D8%A8%D8%B1%D8%AF%D8%A7%D8%B1%DB%8C%22%2C%22value%22%3A%2267%22%2C%22color%22%3A%22bar_orange%22%7D%2C%7B%22label%22%3A%22%D8%A7%D9%85%DA%A9%D8%A7%D9%86%D8%A7%D8%AA%22%2C%22value%22%3A%2282%22%2C%22color%22%3A%22bar_green%22%7D%2C%7B%22label%22%3A%22%D9%82%DB%8C%D9%85%D8%AA%22%2C%22value%22%3A%2289%22%2C%22color%22%3A%22bar_turquoise%22%7D%2C%7B%22label%22%3A%22%D8%A7%D9%86%D8%AF%D8%A7%D8%B2%D9%87%22%2C%22value%22%3A%2284%22%2C%22color%22%3A%22bar_blue%22%7D%5D” options=”striped,animated” title=”امتیاز کلی” units=” از 100″][/vc_column][/vc_row][vc_row][vc_column][vc_column_text]بیایید نگاهی مختصر به ویژگی های اصلی نیکون D5300 و نیکون D5500 بیاندازیم تا مقایسه کنیم. 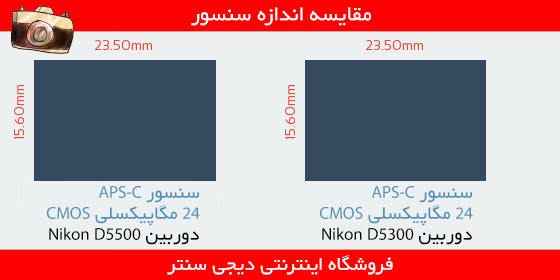 در اینجا ما دو دوربین میان رده و مبتدی ارائه شده توسط نیکون Nikon را مقایسه میکنیم ، هر دو دوربین Nikon D5300 و Nikon D5500 دارای سنسور 24.0 مگاپیکسلی از نوع APS-C هستند ، از آنجا که این دو دوربین هر دو از یک سری هستند و هم رده میباشند این انتظار میرود که مشخصات دوربین تقریبا یکسان و مقایسه نزدیک به هم میباشد ، از 75 دوربین که در این کلاس دوربین ها قرار دارند Nikon D5300 با امتیاز 89 در رتبه 10 و Nikon D5500 با امتیاز کلی 81 در رتبه 4 قرار دارد. 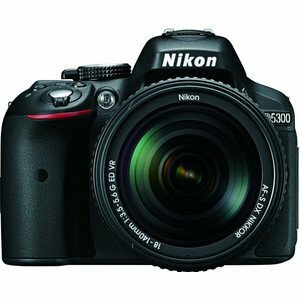 [/vc_message][vc_column_text]در قسمت پایین میتوانید اندازه دوربین D5300 و D5500 نیکون را با هم مقایسه کنید که به وضوح مشخص است که D5500 کوجکتر از دوربین D5300 کوچکتر است ، بدنه آن 1 میلی متر کوتاهتر، 1 میلی متر باریک تر و 6 میلیمتر نازک تر از D5300 است. 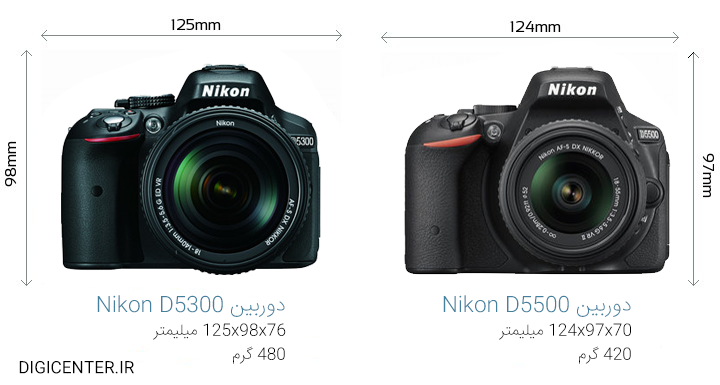 حالا به هم نگاهی از بالا به دوربین Nikon D5300 و Nikon D5500 می اندازیم. وزن دوربین یکی دیگر از فاکتور های مهم برای کاربرانی میباشد که میخواهند در تمام طول روز دوربین خود را با خود حمل کنند ، نیکون D5500 حدود گرم سبک تر از D5300 میباشد با این حال در این قسمت تفاوت چندان چشم گیری نداریم. همینطور در نظر داشته باشید که فقط وزن بدنه دوربین ملاک نیست و وزن لنزی که بر روی دوربین سوار میشود نیز بر این موضوع تاثیرگذار میباشد ، باز با این حال به دلیل یکی بودن سنسور ها که هر دو دوربین از سنسور APS-C استفاده میکنند ، لنز های استفاده شده در این دوربین ها با فواصل کانونی و دیافراگم های یکسان هم وزن میباشند. [/vc_column_text][/vc_column][/vc_row][vc_row][vc_column width=”1/2″][vc_progress_bar values=”%5B%7B%22label%22%3A%22%D8%AF%D9%88%D8%B1%D8%A8%DB%8C%D9%86%20D5500%20%D8%A8%D8%A7%20%D9%88%D8%B2%D9%86%22%2C%22value%22%3A%22420%22%2C%22color%22%3A%22bar_green%22%7D%2C%7B%22label%22%3A%22%D8%AF%D9%88%D8%B1%D8%A8%DB%8C%D9%86%20D5300%20%D8%A8%D8%A7%20%D9%88%D8%B2%D9%86%22%2C%22value%22%3A%22480%22%2C%22color%22%3A%22bar_green%22%7D%2C%7B%22label%22%3A%22%DA%A9%D9%85%D8%AA%D8%B1%DB%8C%D9%86%20%D9%88%D8%B2%D9%86%22%2C%22value%22%3A%22395%22%2C%22color%22%3A%22bar_turquoise%22%7D%2C%7B%22label%22%3A%22%D9%85%DB%8C%D8%A7%D9%86%DA%AF%DB%8C%D9%86%22%2C%22value%22%3A%22775%22%2C%22color%22%3A%22bar_orange%22%7D%2C%7B%22label%22%3A%22%D8%A8%DB%8C%D8%B4%D8%AA%D8%B1%DB%8C%D9%86%22%2C%22value%22%3A%221585%22%2C%22color%22%3A%22bar_red%22%7D%5D” options=”striped,animated” title=”مقایسه وزن” units=” گرم”][/vc_column][vc_column width=”1/2″][vc_progress_bar values=”%5B%7B%22label%22%3A%22%D8%AF%D9%88%D8%B1%D8%A8%DB%8C%D9%86%20D5500%20%D8%A8%D8%A7%20%D9%BE%D9%87%D9%86%D8%A7%DB%8C%22%2C%22value%22%3A%2270%22%2C%22color%22%3A%22bar_green%22%7D%2C%7B%22label%22%3A%22.%D9%88%D8%B1%D8%A8%DB%8C%D9%86%20D5300%20%D8%A8%D8%A7%20%D9%BE%D9%87%D9%86%D8%A7%DB%8C%22%2C%22value%22%3A%2276%22%2C%22color%22%3A%22bar_green%22%7D%2C%7B%22label%22%3A%22%DA%A9%D9%85%D8%AA%D8%B1%DB%8C%D9%86%22%2C%22value%22%3A%2253%22%2C%22color%22%3A%22bar_turquoise%22%7D%2C%7B%22label%22%3A%22%D9%85%DB%8C%D8%A7%D9%86%DA%AF%DB%8C%D9%86%22%2C%22value%22%3A%2276%22%2C%22color%22%3A%22bar_orange%22%7D%2C%7B%22label%22%3A%22%D8%A8%DB%8C%D8%B4%D8%AA%D8%B1%DB%8C%D9%86%22%2C%22value%22%3A%22123%22%2C%22color%22%3A%22bar_red%22%7D%5D” title=”مقایسه پهنا” units=” میلیمتر”][/vc_column][/vc_row][vc_row][vc_column][bsf-info-box icon_type=”custom” icon_img=”id^14304|url^https://digicenter.ir/wp-content/uploads/2017/09/cam-sensor.png|caption^null|alt^null|title^cam-sensor|description^null” img_width=”150″ title=”مقایسه سنسور دوربین Nikon D5500 با Nikon D5300″ pos=”square_box” box_border_style=”dashed”][/bsf-info-box][vc_column_text]هر دو دوربین Nikon D5500 و Nikon D5300 دارای سنسور APS-C با وضوح 24 مگاپیکسل میباشند و در این قسمت تفاوت زیادی با هم ندارند. یکی دیگر از شباهت های این دو دوربین عدم استفاده از فیلتر Anti-Alias low-pass میباشد ، حذف این فیلتر باعت شارپ تر شدن تصاویر و ثبت جزئیات بهتر میشود و اما در بعضی مواقع امکان ایجاد مویر را افزایش میدهد. شما میتوانید در قسمت پایین اندازه سنسور این دو دوربین را مشاهده کنید. 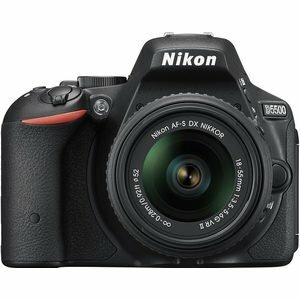 در این قسمت ما دوربین های D5500 و D5300 را در 5 نوع عکاسی مختلف بررسی کردیم تا شما بتوانید نسبت به نیاز خود دوربین مورد نظر خود را راحت تر انتخاب کنید. [/bsf-info-box][/vc_column][/vc_row][vc_row][vc_column width=”5/6″][vc_line_chart x_values=”پرتره;خیابانی;ورزشی;روزانه;منظره” values=”%5B%7B%22title%22%3A%22D5500%22%2C%22y_values%22%3A%2269%3B%2066%3B%2083%3B%2064%3B%2064%22%2C%22color%22%3A%22pink%22%7D%2C%7B%22title%22%3A%22D5300%22%2C%22y_values%22%3A%2269%3B%2066%3B%2083%3B%2063%3B%2064%22%2C%22color%22%3A%22violet%22%7D%5D”][/vc_column][vc_column width=”1/6″][/vc_column][/vc_row][vc_row][vc_column width=”1/2″][vc_progress_bar values=”%5B%7B%22label%22%3A%22%D8%AE%D9%88%D8%A8%22%2C%22value%22%3A%2269%22%2C%22color%22%3A%22bar_blue%22%7D%5D” options=”striped,animated” title=”دوربین Nikon D5300 برای عکاسی پرتره” units=” %”][ultimate_icon_list icon_size=”18″][ultimate_icon_list_item icon=”Defaults-thumbs-o-up” icon_color=”#81d742″]سنسور بزرگ APS-C با ابعاد (23.5×15.6 میلیمتر)[/ultimate_icon_list_item][ultimate_icon_list_item icon=”Defaults-thumbs-o-up” icon_color=”#81d742″]سنسور 24 مگاپیسکل با وضوح بسیار بالا[/ultimate_icon_list_item][ultimate_icon_list_item icon=”Defaults-thumbs-o-up” icon_color=”#81d742″]منظره یاب اپتیکال داخلی[/ultimate_icon_list_item][ultimate_icon_list_item icon=”Defaults-thumbs-o-up” icon_color=”#81d742″]ارگونومیک، طراحی و کنترل خوب[/ultimate_icon_list_item][ultimate_icon_list_item icon=”Defaults-thumbs-o-down” icon_color=”#dd3333″]عدم وجود لرزشگیر داخلی[/ultimate_icon_list_item][/ultimate_icon_list][/vc_column][vc_column width=”1/2″][vc_progress_bar values=”%5B%7B%22label%22%3A%22%D8%AE%D9%88%D8%A8%22%2C%22value%22%3A%2269%22%2C%22color%22%3A%22bar_blue%22%7D%5D” options=”striped,animated” title=”دوربین Nikon D5500 برای عکاسی پرتره” units=” %”][ultimate_icon_list icon_size=”18″][ultimate_icon_list_item icon=”Defaults-thumbs-o-up” icon_color=”#81d742″]سنسور بزرگ APS-C با ابعاد (23.5×15.6 میلیمتر)[/ultimate_icon_list_item][ultimate_icon_list_item icon=”Defaults-thumbs-o-up” icon_color=”#81d742″]سنسور 24 مگاپیسکل با وضوح بسیار بالا[/ultimate_icon_list_item][ultimate_icon_list_item icon=”Defaults-thumbs-o-up” icon_color=”#81d742″]منظره یاب اپتیکال داخلی[/ultimate_icon_list_item][ultimate_icon_list_item icon=”Defaults-thumbs-o-up” icon_color=”#81d742″]ارگونومیک، طراحی و کنترل خوب[/ultimate_icon_list_item][ultimate_icon_list_item icon=”Defaults-thumbs-o-down” icon_color=”#dd3333″]عدم وجود لرزشگیر داخلی[/ultimate_icon_list_item][/ultimate_icon_list][/vc_column][/vc_row][vc_row][vc_column width=”1/2″][vc_progress_bar values=”%5B%7B%22label%22%3A%22%D8%AE%D9%88%D8%A8%22%2C%22value%22%3A%2266%22%2C%22color%22%3A%22bar_blue%22%7D%5D” options=”striped,animated” title=”دوربین Nikon D5300 برای عکاسی خیابانی” units=” %”][ultimate_icon_list icon_size=”18″][ultimate_icon_list_item icon=”Defaults-thumbs-o-up” icon_color=”#81d742″]سنسور بزرگ APS-C با ابعاد (23.5×15.6 میلیمتر)[/ultimate_icon_list_item][ultimate_icon_list_item icon=”Defaults-thumbs-o-up” icon_color=”#81d742″]سنسور 24 مگاپیسکل با وضوح بسیار بالا[/ultimate_icon_list_item][ultimate_icon_list_item icon=”Defaults-thumbs-o-up” icon_color=”#81d742″]منظره یاب اپتیکال داخلی[/ultimate_icon_list_item][ultimate_icon_list_item icon=”Defaults-thumbs-o-up” icon_color=”#81d742″]فوکوس تشخیص چهره[/ultimate_icon_list_item][ultimate_icon_list_item icon=”Defaults-thumbs-o-up” icon_color=”#81d742″]صفحه نمایش کاملا چرخان[/ultimate_icon_list_item][ultimate_icon_list_item icon=”Defaults-thumbs-o-down” icon_color=”#dd3333″]عدم وجود لرزشگیر داخلی[/ultimate_icon_list_item][ultimate_icon_list_item icon=”Defaults-thumbs-o-down” icon_color=”#dd3333″]بدنه بزرگ[/ultimate_icon_list_item][/ultimate_icon_list][/vc_column][vc_column width=”1/2″][vc_progress_bar values=”%5B%7B%22label%22%3A%22%D8%AE%D9%88%D8%A8%22%2C%22value%22%3A%2266%22%2C%22color%22%3A%22bar_blue%22%7D%5D” options=”striped,animated” title=”دوربین Nikon D5500 برای عکاسی پرتره” units=” %”][ultimate_icon_list icon_size=”18″][ultimate_icon_list_item icon=”Defaults-thumbs-o-up” icon_color=”#81d742″]سنسور بزرگ APS-C با ابعاد (23.5×15.6 میلیمتر)[/ultimate_icon_list_item][ultimate_icon_list_item icon=”Defaults-thumbs-o-up” icon_color=”#81d742″]سنسور 24 مگاپیسکل با وضوح بسیار بالا[/ultimate_icon_list_item][ultimate_icon_list_item icon=”Defaults-thumbs-o-up” icon_color=”#81d742″]منظره یاب اپتیکال داخلی[/ultimate_icon_list_item][ultimate_icon_list_item icon=”Defaults-thumbs-o-up” icon_color=”#81d742″]فوکوس تشخیص چهره[/ultimate_icon_list_item][ultimate_icon_list_item icon=”Defaults-thumbs-o-up” icon_color=”#81d742″]صفحه نمایش کاملا چرخان[/ultimate_icon_list_item][ultimate_icon_list_item icon=”Defaults-thumbs-o-down” icon_color=”#dd3333″]عدم وجود لرزشگیر داخلی[/ultimate_icon_list_item][ultimate_icon_list_item icon=”Defaults-thumbs-o-down” icon_color=”#dd3333″]بدنه بزرگ[/ultimate_icon_list_item][/ultimate_icon_list][/vc_column][/vc_row][vc_row][vc_column width=”1/2″][vc_progress_bar values=”%5B%7B%22label%22%3A%22%D8%AE%D9%88%D8%A8%22%2C%22value%22%3A%2283%22%2C%22color%22%3A%22bar_green%22%7D%5D” options=”striped,animated” title=”دوربین Nikon D5300 برای عکاسی ورزشی” units=” %”][ultimate_icon_list icon_size=”18″][ultimate_icon_list_item icon=”Defaults-thumbs-o-up” icon_color=”#81d742″]منظره یاب اپتیکال داخلی[/ultimate_icon_list_item][ultimate_icon_list_item icon=”Defaults-thumbs-o-up” icon_color=”#81d742″]ارگونومیک، طراحی و کنترل خوب[/ultimate_icon_list_item][ultimate_icon_list_item icon=”Defaults-thumbs-o-up” icon_color=”#81d742″]حداکثر سرعت شاتر : 1/4000s[/ultimate_icon_list_item][ultimate_icon_list_item icon=”Defaults-thumbs-o-up” icon_color=”#81d742″]9 نقطه فوکوس متقاطع[/ultimate_icon_list_item][ultimate_icon_list_item icon=”Defaults-thumbs-o-up” icon_color=”#81d742″]39 نقطه فوکوس[/ultimate_icon_list_item][ultimate_icon_list_item icon=”Defaults-thumbs-o-up” icon_color=”#81d742″]عملکرد خوب در نور کم[/ultimate_icon_list_item][ultimate_icon_list_item icon=”Defaults-thumbs-o-up” icon_color=”#81d742″]تعداد شات با یک بار شارژ : 820[/ultimate_icon_list_item][ultimate_icon_list_item icon=”Defaults-thumbs-o-up” icon_color=”#81d742″]ارتباط بیسیم[/ultimate_icon_list_item][ultimate_icon_list_item icon=”Defaults-thumbs-o-up” icon_color=”#dd9933″]عکاسی پیاپی با سرعت متوسط : 5 فریم بر ثانیه[/ultimate_icon_list_item][ultimate_icon_list_item icon=”Defaults-thumbs-o-up” icon_color=”#dd3333″]بدنه مهروموم نشده[/ultimate_icon_list_item][ultimate_icon_list_item icon=”Defaults-thumbs-o-up” icon_color=”#dd3333″]عدم وجود لرزشگیر داخلی[/ultimate_icon_list_item][/ultimate_icon_list][/vc_column][vc_column width=”1/2″][vc_progress_bar values=”%5B%7B%22label%22%3A%22%D8%AE%D9%88%D8%A8%22%2C%22value%22%3A%2283%22%2C%22color%22%3A%22bar_green%22%7D%5D” options=”striped,animated” title=”دوربین Nikon D5500 برای عکاسی ورزشی” units=” %”][ultimate_icon_list icon_size=”18″][ultimate_icon_list_item icon=”Defaults-thumbs-o-up” icon_color=”#81d742″]منظره یاب اپتیکال داخلی[/ultimate_icon_list_item][ultimate_icon_list_item icon=”Defaults-thumbs-o-up” icon_color=”#81d742″]ارگونومیک، طراحی و کنترل خوب[/ultimate_icon_list_item][ultimate_icon_list_item icon=”Defaults-thumbs-o-up” icon_color=”#81d742″]حداکثر سرعت شاتر : 1/4000s[/ultimate_icon_list_item][ultimate_icon_list_item icon=”Defaults-thumbs-o-up” icon_color=”#81d742″]9 نقطه فوکوس متقاطع[/ultimate_icon_list_item][ultimate_icon_list_item icon=”Defaults-thumbs-o-up” icon_color=”#81d742″]39 نقطه فوکوس[/ultimate_icon_list_item][ultimate_icon_list_item icon=”Defaults-thumbs-o-up” icon_color=”#81d742″]عملکرد خوب در نور کم[/ultimate_icon_list_item][ultimate_icon_list_item icon=”Defaults-thumbs-o-up” icon_color=”#81d742″]تعداد شات با یک بار شارژ : 820[/ultimate_icon_list_item][ultimate_icon_list_item icon=”Defaults-thumbs-o-up” icon_color=”#81d742″]ارتباط بیسیم[/ultimate_icon_list_item][ultimate_icon_list_item icon=”Defaults-thumbs-o-up” icon_color=”#dd9933″]عکاسی پیاپی با سرعت متوسط : 5 فریم بر ثانیه[/ultimate_icon_list_item][ultimate_icon_list_item icon=”Defaults-thumbs-o-up” icon_color=”#dd3333″]بدنه مهروموم نشده[/ultimate_icon_list_item][ultimate_icon_list_item icon=”Defaults-thumbs-o-up” icon_color=”#dd3333″]عدم وجود لرزشگیر داخلی[/ultimate_icon_list_item][/ultimate_icon_list][/vc_column][/vc_row][vc_row][vc_column width=”1/2″][vc_progress_bar values=”%5B%7B%22label%22%3A%22%D8%AE%D9%88%D8%A8%22%2C%22value%22%3A%2263%22%2C%22color%22%3A%22bar_green%22%7D%5D” options=”striped,animated” title=”دوربین Nikon D5300 برای عکاسی روزانه” units=” %”][ultimate_icon_list icon_size=”18″][ultimate_icon_list_item icon=”Defaults-thumbs-o-up” icon_color=”#81d742″]سنسور بزرگ APS-C با ابعاد (23.5×15.6 میلیمتر)[/ultimate_icon_list_item][ultimate_icon_list_item icon=”Defaults-thumbs-o-down” icon_color=”#dd3333″]بدنه بزرگ[/ultimate_icon_list_item][ultimate_icon_list_item icon=”Defaults-thumbs-o-down” icon_color=”#dd3333″]420 گرم[/ultimate_icon_list_item][ultimate_icon_list_item icon=”Defaults-thumbs-o-down” icon_color=”#dd3333″]پهنای دوربین : 70 میلیمتر[/ultimate_icon_list_item][/ultimate_icon_list][/vc_column][vc_column width=”1/2″][vc_progress_bar values=”%5B%7B%22label%22%3A%22%D8%AE%D9%88%D8%A8%22%2C%22value%22%3A%2264%22%2C%22color%22%3A%22bar_green%22%7D%5D” options=”striped,animated” title=”دوربین Nikon D5500 برای عکاسی روزانه” units=” %”][ultimate_icon_list icon_size=”18″][ultimate_icon_list_item icon=”Defaults-thumbs-o-up” icon_color=”#81d742″]سنسور بزرگ APS-C با ابعاد (23.5×15.6 میلیمتر)[/ultimate_icon_list_item][ultimate_icon_list_item icon=”Defaults-thumbs-o-down” icon_color=”#dd3333″]بدنه بزرگ[/ultimate_icon_list_item][ultimate_icon_list_item icon=”Defaults-thumbs-o-down” icon_color=”#dd3333″]420 گرم[/ultimate_icon_list_item][ultimate_icon_list_item icon=”Defaults-thumbs-o-down” icon_color=”#dd3333″]پهنای دوربین : 76 میلیمتر[/ultimate_icon_list_item][/ultimate_icon_list][/vc_column][/vc_row][vc_row][vc_column width=”1/2″][vc_progress_bar values=”%5B%7B%22label%22%3A%22%D8%AE%D9%88%D8%A8%22%2C%22value%22%3A%2264%22%2C%22color%22%3A%22bar_green%22%7D%5D” options=”striped,animated” title=”دوربین Nikon D5300 برای عکاسی منظره” units=” %”][ultimate_icon_list icon_size=”18″][ultimate_icon_list_item icon=”Defaults-thumbs-o-up” icon_color=”#81d742″]سنسور بزرگ APS-C با ابعاد (23.5×15.6 میلیمتر)[/ultimate_icon_list_item][ultimate_icon_list_item icon=”Defaults-thumbs-o-up” icon_color=”#81d742″]سنسور 24 مگاپیسکل با وضوح بسیار بالا[/ultimate_icon_list_item][ultimate_icon_list_item icon=”Defaults-thumbs-o-down” icon_color=”#81d742″]نمایش زنده (live-view)[/ultimate_icon_list_item][ultimate_icon_list_item icon=”Defaults-thumbs-o-down” icon_color=”#dd3333″]پهنای دوربین : 70 میلیمتر[/ultimate_icon_list_item][/ultimate_icon_list][/vc_column][vc_column width=”1/2″][vc_progress_bar values=”%5B%7B%22label%22%3A%22%D8%AE%D9%88%D8%A8%22%2C%22value%22%3A%2264%22%2C%22color%22%3A%22bar_green%22%7D%5D” options=”striped,animated” title=”دوربین Nikon D5500 برای عکاسی روزانه” units=” %”][ultimate_icon_list icon_size=”18″][ultimate_icon_list_item icon=”Defaults-thumbs-o-up” icon_color=”#81d742″]سنسور بزرگ APS-C با ابعاد (23.5×15.6 میلیمتر)[/ultimate_icon_list_item][ultimate_icon_list_item icon=”Defaults-thumbs-o-up” icon_color=”#81d742″]سنسور 24 مگاپیسکل با وضوح بسیار بالا[/ultimate_icon_list_item][ultimate_icon_list_item icon=”Defaults-thumbs-o-down” icon_color=”#81d742″]نمایش زنده (live-view)[/ultimate_icon_list_item][ultimate_icon_list_item icon=”Defaults-thumbs-o-down” icon_color=”#dd3333″]پهنای دوربین : 70 میلیمتر[/ultimate_icon_list_item][/ultimate_icon_list][/vc_column][/vc_row][vc_row][vc_column][vc_column_text]تعداد لنز های موجود برای دوربین یکی از فاکتور های مهم در انتخاب دوربین میباشد، دوربین های Nikon D5500 و Nikon D5300 هر دو دارای مانت F و در حال حاضر دارای 278 لنز میباشند. یکی دیگر از فاکتور های انتخاب لنز برای دوربین لرزشگیر میباشد، با توجه به اینکه هیچکدام از این دوربین ها لرزشگیر داخلی ندارند پیشنهاد میشود که لنز های دارای لرزشگیر را خریداری کنید، در حال حاضر 88 لنز لرزشگیر دار برای مانت F نیکون موجود است. خوب ! تا به این قسمت در این مقاله فکر میکنم با توجه به مقایسه های و بررسی هر دو دوربین نیکون D5500 و D5300 شما میتوانید براحتی دوربین مورد نظر خود را با توجه به ویژگی ها و تفاوت های دوربین ها که در بیشتر بخش ها یکسان بوده را بررسی و مدل مد نظر خود را انتخاب کنید ، شاید تعجب کنید که این اطلاعات به چه صورت و مقایسه ها بر چه اساس بوده و اطلاعات از کجا آمده است ، الگوریتم بررسی ما در 5 جنبه مختلف بوده و بر اساس 63 مشخصه پویا که از مشخصات فنی کامل ، قیمت ، امتیاز DxO Mark ( در صورت وجود ) به منظور مقایسه هدفمند و دقیق این اطلاعات جمع آوری شده تا شما عزیزان بتوانید مطمئن دوربین مورد نظر خود را بررسی کنید. 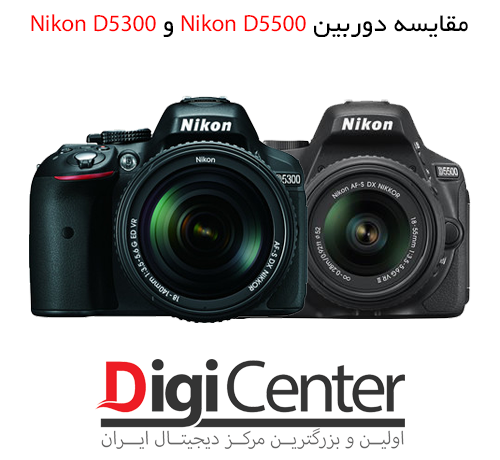 خلاصه ای از مقایسه نیکون D5500 و نیکون D5300 را میتوانید در قسمت پایین مشاهده کنید.